With nearly a million heroin deaths and 50,000 prescription opioid deaths per year, the United States is in the throes of an “opioid epidemic,” CNN reported yesterday. The primary culprits behind the prescription opioid death toll are legal narcotics like Vicodin, OxyContin and Percocet. Deaths from their illicit opioid cousin — heroin — have risen 500% in the last decade, with 950,000 people dying from heroin overdose in 2016 alone. Three out of four heroin users got started on the drug as a result of a previous prescription opioid addiction. They make the switch to heroin because it’s cheaper, or because their prescription runs out. As the synthetic opioid crisis grows, so does the number of Americans turning to a safe, herbal alternative called kratom. 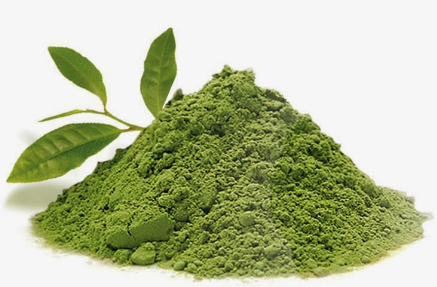 Kratom is an ancient Chinese medicine, used for thousands of years by natives of southeastern Asian islands for various health purposes, among them pain relief. The leaves of the plant are crushed into a powder and consumed as a tea or in a smoothie. Like Vicodin, OxyContin, Percocet and heroin, Kratom is also used recreationally to induce a sense of euphoria. The only difference is it’s 100-percent natural and far safer than synthetic opioids. It is estimated that between 3 and 5 million Americans use or have used kratom, and that number is growing as people discover it’s effectiveness at weaning them off synthetic opioids. The FDA — which, if you haven’t noticed, typically makes laws that benefit drug companies more than people — now wants to outlaw Kratom. The agency began ramping up its fear mongering about the plant earlier this month saying it has “opioid-like properties” and blaming it for 44 deaths worldwide in the last seven years. Yes, you read that right, 44 deaths, worldwide, in the last seven years, compared to 50,000 prescription opioid deaths every single year. And, that number includes 9 deaths in Sweden linked to a drug called Krypton, which is laced with another drug, not pure kratom. So basically what the agency is saying is it wants to outlaw a plant that could help save a million lives per year because it has allegedly killed 36 people in seven years. Even the mainstream editorial board at the Washington Post thinks this is a terrible idea. I myself have consumed kratom at our local kava bar countless times. From my experience, which was basically a euphoric, good mood, it seems ludicrous to suggest anyone could die from what basically amounts to a strong herbal tea. Tell the FDA not to outlaw a medicinal plant with “opioid qualities” in order to protect pharmaceutical companies, who make actual synthetic opioids that kill people left and right, from competition. Sign the petition here. And buy yourself some kratom online while you still can. You’ll be glad you did. Your reporting is beyond irresponsible. Because you’ve experienced euphoria using kratom, it is a safe cure for opioid addiction? I’m not following. How will it save 1,000,000 lives? There’s some sort of evidence for this cure? I have safely experienced euphoria from intra-veinous fentanyl use countless times, but I wouldn’t recommend it to anyone. The answer to drug addiction isn’t another drug, it is learning new coping strategies and changing one’s Outlook and attitude. You might be able to use kratom safely but it makes me crave a ‘real’ opiate high, and I am worried that would be the case for other addicts. My brother-in-law almost died from using kratom to try to break his Rx opioid addiction. He was in ICU for 6 days!